Giving up: on monthly status reports. I read a few of them all at once a while ago and you know, they are a bit repetitive. So I'm having a go at the quarterly approach at the beginning of each new season instead. Reading: the last month of my Bible reading plan for the year and also Come, Thou Long Expected Jesus edited by Nancy Guthrie. I read Come, Thou Long Expected Jesus in 2010 and LOVED it. I didn't read much of it in 2011 because I kept giving my copy away to someone, buying a new one and giving that one away and so on, all the way to Christmas. I'm not sure what happened in 2012, but I didn't read it. This year is the year. Recently discovered: that I like beetroot dip. And carrot cake. Not together though. Have had: the perfect diary to keep track of life for the last two years. Panicked: when the place that sets up each November to sell calendars and diaries for the year ahead didn't have the perfect diary. There was one there but it has an intolerable cover and intolerable pictures scattered through it. Couldn't overlook the artwork for the sake of a perfect system. It does after all have to be my constant companion for a whole year. Went to: extraordinary lengths to get a perfect diary for next year. That is, after a quick a look around at a few shops, ordered one off the Internet. 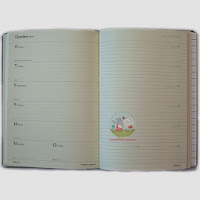 What is the perfect diary, you ask? It is an A5 diary with a week to the page on the left and a lined page on the right for notes and the weekly TO DO list. Perfection. And the one I chose is cornflower blue. Very happy. Bought: a new CD last month. Third Day's Christmas Offerings. I couldn't get enough of their rendition of O Holy Night last Christmas. Loving it. For smalls, The Jesus Storybook Bible which acts like an Advent calendar. For adults and for bigger kids who can manage a grown up version of the Bible, there are a great set of Jesse tree readings (bit like an Advent calendar in tree form) in the appendix of Disciplines of a Godly Family by Kent and Barbara Hughes. I've seen a few versions of Jesse tree readings and some of them have REALLY LONG readings. The Hughes' set is very short-concentration-span friendly. 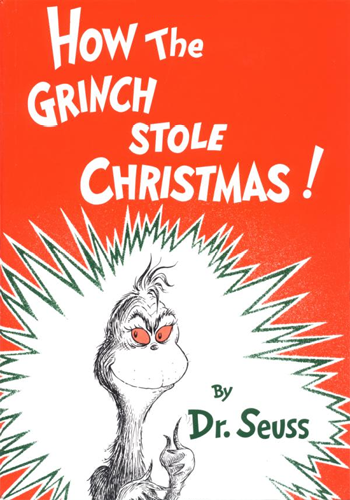 How the Grinch Stole Christmas by Dr Seuss is a fun reminder against greed. I borrow it from the library most years. I've never got around to buying one. Maybe that though is part of the message of the book. 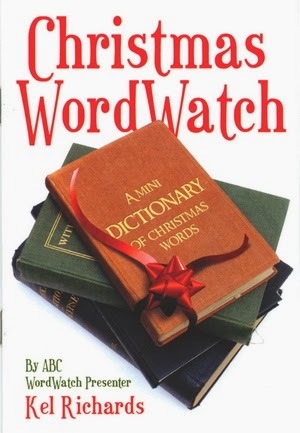 "In this 'mini-dictionary', word guru Kel Richards puts us straight on the origin and meaning of some common Christmas words and traditions, and tells us things about Christmas we may never have known. As he does so, Kel cleverly communicates important Gospel truths in a gentle way." I'm giving a copy of this to each of my upper primary Scripture kids at the end of the school year. Making a big effort: to be joyful. Last year as the notes kept coming home from school with more and more things to do to mark the end of the year, I found myself rolling my eyes a bit. I later remembered that a) I don't let my kids roll their eyes at me and b) I don't ever recall my parents rolling their eyes at all the things they had to take us to at the end of the year...or any other part of the year for that matter. So practicing joy and enthusiasm...and it does have a flow on effect. We are all having a happier time of it this year. Inspired: by Deb's Christmas tree to finish this update with a Christmas tree quiz. Please join in by answering in the comments section. 1. When do you put up your Christmas tree? 2. Colour co-ordinated or mix-and-match? 3. If you have kids, do you decorate the tree yourself, let the kids decorate it or let the kids decorate it and then fix it up when they go to bed? 4. When do the presents go under the tree? As they are wrapped/received or not until Christmas Eve? 1. When I succumb to the hyper-enthusiastic ones. 2. previously mix & match, last year we tried colour coordinated. 3. I do fix up, to my parenting shame. 4. Presents go under tree as they're wrapped. 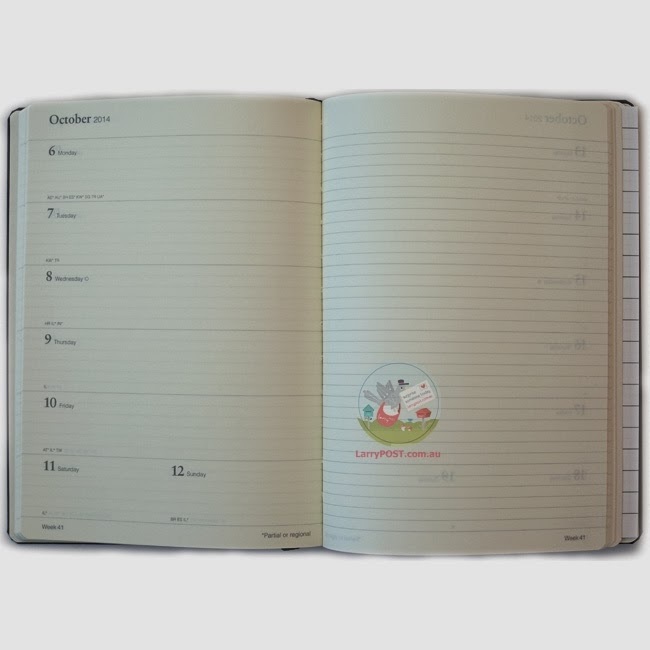 Where do you find this diary? I have similar requirements and have struggled. Have opted for a slightly less than ideal option so far. Now you're making me want some carrot cake mmmm! :) I've decided to not buy a 2014 diary (even though they're so pretty) because I never use it - everything either goes in the phone or on the Sasco Year Planner on our wall. Oh and I keep meaning to get the Third Day Christmas Offerings CD as well. I listened to a friend's copy a few years ago and loved it. 1. Depends whether or not we're having Christmas at home. This year I'm not going to bother putting the big tree up as we're going to Dunsborough and Rory's too young to understand yet (and now that he's crawling he'll just grab the bottom of the tree and the presents anyway). Normally at the start of December though. 4. As they are wrapped/received. Christmas trees and small, crawling babies are a bad combination unless the tree resides in a playpen! I don't think we even owned a Christmas tree until the boys were old enough to not pull one down on top of themselves. Hope you are going well. I have exactly the same format for my diary. Except that it's the big one from Moleskine. I tried to go electronic a few years ago but hated it. So it's a fountain pen and a paper diary from now on. 2. Mix and match. We buy a new decoration each every year for the tree. So every year there are 5 more decorations to find space for. 3. We do it together. They put their decorations on the tree (with suggestions from us). 4. As they are wrapped. So from 1 December the presents start appearing. Hi Alistair. I can imagine the bigger version of that diary would be useful given you would have a few appointments to keep track of in your line of work! It's definitely a winner. No more notepads or scraps of paper...everything in the one spot. Wonderful.